Blizzard has made the official announcement, We can expect the new Master and Grand Master Rank to become available in the patch during the week of June 14. That is also when the start of Season 3 will start for heroes of the storm. Once Season one starts there will be big changes to the ladder and leagues. Below we will go into detail of the changes and new ranks available in HotS. Grand Master will be functional Rank at Season 3 Start in HotS. Grand Master Rank in Heroes of the Storm will work a lot like the Legendary Rank in Hearthstone Ranked Mode. Read below to learn more about when Season 3 Start & End in HotS and what type of Season Rewards Blizzards plans to give players who participate in Season 3. During Season 3 HotS players will attempt to Rank Up in Both Hero League and Team League. The Reason you will want to participate in Hero League and have a Rank at the end of the season, is for the Season Rewards you will receive for playing HotS During Season 3. So players will want to know when the season 3 start date, so they can begin to earn there rewards. The Type of Season Rewards players will receive in HotS Season 1. Each portrait will be unique to there respective tier, as well as the League. Players can unlock both a Hero League Portrait and a Team League Portrait. This Icon will be Visible to other players, displaying your level of skill based on the Season Ranking you have achieved. When Do I Get Season Rewards? 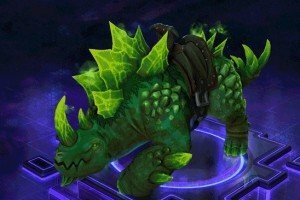 Traditionally HotS Season Rewards are given to players at the end of the Season, before the season 4 start date. The types of Rewards you receive will be Based on your Rank & League in Heroes of the Storm. Want To Unlock Any Rank in Heroes of the Storm? With the announcement of HotS Season 3 Rewards, This makes getting a high Hero League Rank all that much more Rewarding in Season 1. HotS Season 3 Start is December 12. The Higher you Rank in HotS Hero League or Team League, The better the Season Rewards. If you want to Rank Up yourself in Heroes of the Storm you should use our HotS Tier List to find out what the strongest hero is currently.